What Bruxism Is And How It Can Hurt Your Teeth? Bruxism is the conscious or unconscious grinding of the teeth. It is a common problem among children, who usually eventually grow out of it as they get older. With that being said, adults can experience teeth grinding or bruxism as well. Often, it comes in waves that may correspond with periods of added life stress, but bruxism can occur with anyone at any time for rather unknown reasons. Those who have bruxism will notice that during the day, they may clench their jaw without realizing it. Of course, you cannot tell if you’ve been clenching and grinding at night sometimes, but you can look at how you feel when you wake up in the morning. If you notice that you have an instant headache each morning, if your jaw hurts overall, or if you still feel tired, this may be bruxism. You can also ask your partner who sleeps with you if they notice the sound of grinding at night when you sleep. Many of those who grind their teeth may be slightly annoyed by it, but they assume that it can’t do any harm. Unfortunately, this isn’t true. Bruxism can causer numerous health problems if left untreated. One of the biggest risks with untreated bruxism is that it can cause tooth loosening or tooth fractures. The jaw muscles are extremely powerful, and the pressure and tension that is put on your teeth when you clench your jaw is immense. Over time, this can lead to fractures or splits in your teeth, and they may begin to loosen. The jaw clenching and grinding may also begin to wear down the protective enamel on your teeth. Furthermore, in some cases, grinding can also be a root cause for chronic headaches and migraines. And finally, it is possible for this to be linked to TMJ (temporomandibular joint) disorder, which may require surgery to fix. A dentist will first be able to diagnose bruxism by asking you several questions about how you feel in the morning, whether you’ve been having jaw or head pain, and how you sleep in general. They will then peer in your mouth and look at the enamel on your teeth. If there are telltale signs of bruxism wear, they can create a custom-made teeth splint or teeth guard for you to wear while you sleep and monitor it over the following weeks and months. In some cases, where TMJ (temporomandibular joint) disorder is possible, they may refer you to a specialist. All Family Dental Care in Everett, Washington provides treatment for bruxism and a number of other common dental health issues. 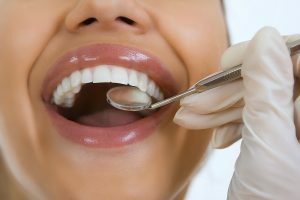 Our services include general cleanings and checkups, invisible orthodontics, same day crowns, sealants, extractions, laser teeth whitening, oral cancer screening, and more. If you have been experiencing teeth grinding during the day or at night, speak with us about your treatment options. You can call All Family Dental Care today at (425) 337-1000 to learn more or make an appointment. We look forward to treating you!